Mama Crystal comforts Gene when he returned from the vet’s office. My heart breaks when one of my babies gets hurt. So naturally I scoop them up and head to the vet. 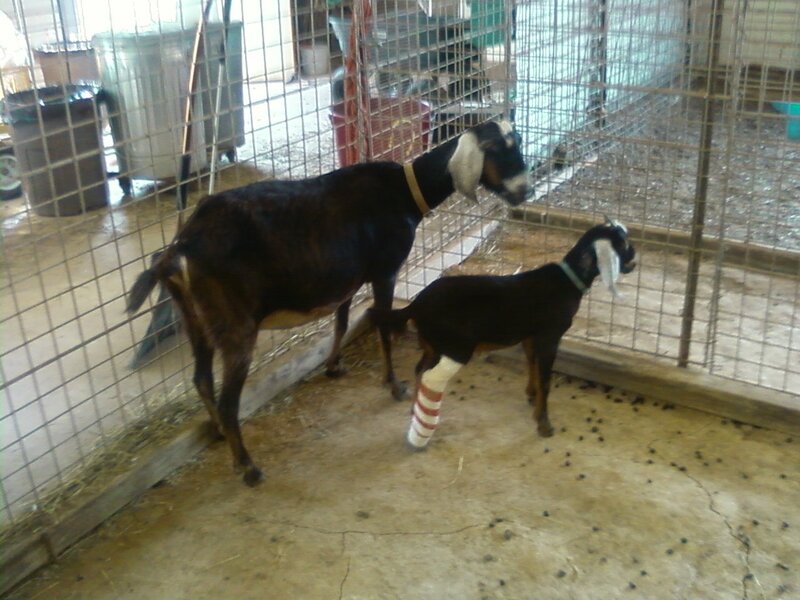 Here, our 2.5 month old buck is photographed with his cast on. Luckily he only broke one tie. But a bone break still hurts. Be on the look out for more photos of him as we turn him into a pet. He’ll start by learning to be a pack goat, carrying our water with we go hiking. cute little baby goat. how's the toe now?